Take charge of the battle with the Long Hersir Viking LARP Sword. This latex-free LARP weapon has impressive detailing and durability fit for a Viking commander. 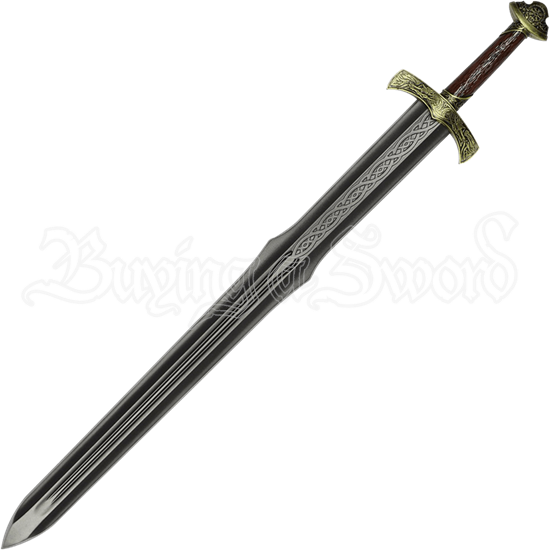 Elegant Celtic knotwork and Norse carvings accent the blade and brass colored hilt. The sturdy foam of this medieval LARP weapon surrounds a fiberglass core, and its craftsmanship is highly resistant to wear and tear, weather, and temperature changes. 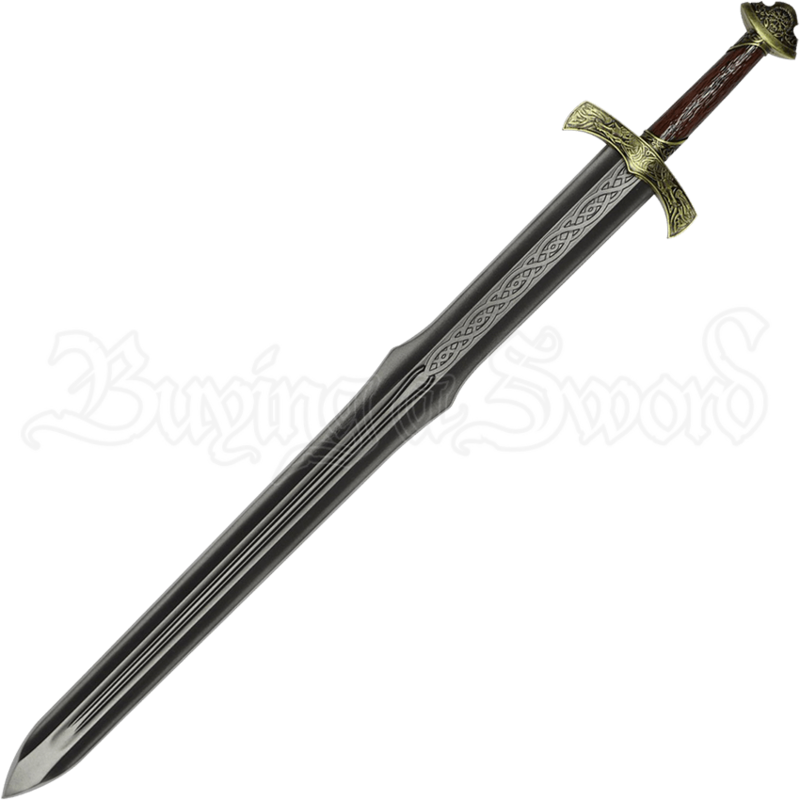 Celtic knotwork appears engraved on the extended ricasso of the steel tone blade, and the Norse carvings embellish the short, blade-angled guard. The handle is colored and textured like wood, and a Viking compass on the pommel reinforces its Norse appeal. Become a warrior to be reckoned with when you take this Viking LARP weapon to your next LARP event.